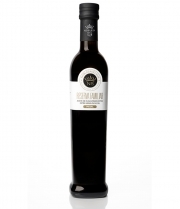 Olive oils produced in Alicante are influnced by the Mediterranean climate and the mountainous terrain. The typical varieties are Blanqueta, Alfafarenca and Changlot Real. The main productiona areas are l’Alcoià, El Comtat, La Marina Alta, La Marina Baixa, Alto, Medio and Baix Vinalopó, el Campo de Alicante and la Foia de Castalla.